Food trucks in Washington D.C. are currently facing off against a new wave of regulations that may limit the time they can spend at certain spots and raise the penalties they can be subjected to. The Department of Consumer and Regulatory Affairs gave Washington residents a final chance to combat these new rules by submitting their thoughts online to be considered. However when the comments were reviewed, only about 200 people, businesses and groups submitted a response before the November 13th deadline. 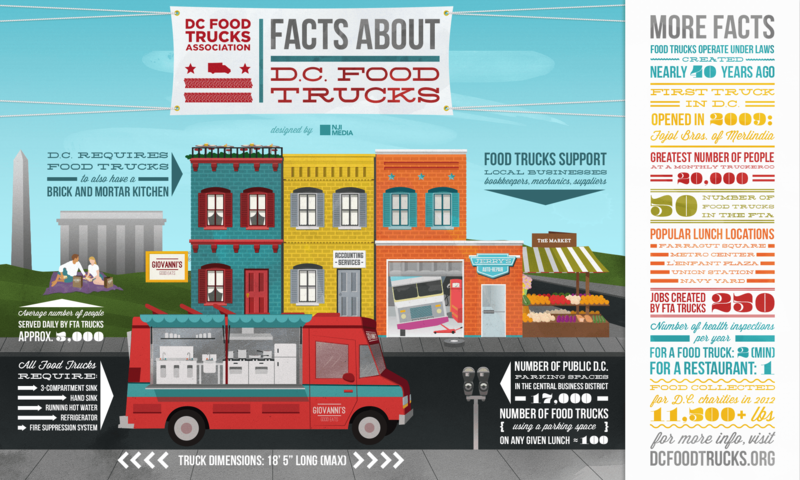 Now the DC Food Truck Association is adding some controversy to this story by declaring that over 1,000 letters of support for food trucks were never received. Last year over 3,000 public comments were received in response to similar regulations, marking an unusual decline in this year’s recorded responses. The DCFTA submitted the comments through the automated letter-writing site, RulesThatWork.org, according to Executive Director Che Ruddell-Tabisola. The NYCFTA is currently looking into what could have happened to the 1000+ emails that were never received, though if it was a problem on their end it would be too late for the responses to be accepted. As of the November 13th deadline, only 43 comments had been received from RulesThatWork.org. No one had yet suggested that sabotage may have played a part in the missing votes, but the DCFTA suspects that the issues may have been caused by the Department of Consumer and Regulatory Affairs’ email systems. “Because DCRA was receiving emails at one point and then apparently stopped, it leads me to wonder if there was a technical change on their end, such as some kind of system update, security update, a change in a spam filter or firewall setting, etc. It looks like the last day they posted comments from RulesThatWork.org was Nov. 10, so I’m wondering if there was a change then,” said Ruddell-Tabisola. The DCRA is denying any wrongdoing in receiving the comments, checking through junk mail folders and affirming that they posted every single comment they received. DCFTA submitted its own 20-page response outlining its problems with each regulation and offering potential solutions to replace them. The Association responded this way after hearing that public comments do not actually sway any decisions that are made, no matter how many are received. The DCFTA then had to wait ten days before meeting with the Department of Transportation to clarify the language used in the regulations, delaying their ability to conduct necessary research. The food truck industry has also been kept busy by Hurricane Sandy, assisting efforts in New York to mobilize the New York Food Truck Association which has partnered with the city to donate free meals to thousands of displaced residents. From the standpoint of the DCFTA they generated 1,000 public comments in only five days. While the DCRA has not announced a timeframe for reviewing the comments they have received, they announced that is their IT team finds the missing comments in a junk folder somewhere they will be accepted and posted online.